As the name indicates, Friendship day is dedicated towards celebrating the sense of love and camaraderie between two or more people. The day is meant to deepen the strong and unique bond that two people share on an emotional level, irrespective of the physical difference that might separate them. This is especially so, in the modern times when people have little time to invest in their personal and social relationships. 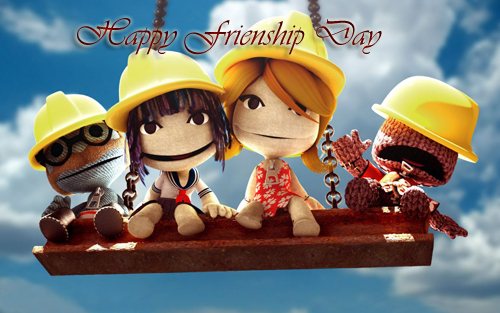 The Friendship day was first celebrated in 1935 in USA, when the Congress decided a day to celebrate this special bond. Even though the exact reasons for such a decision are not known, it is believed that the sense of mistrust and hostility that continued to prevail amongst the masses was a major reason for initiating this day. So the US Congress passed a resolution to celebrate this day with the aim of reviving the sense of friendship and camaraderie between individuals as well as nations. With the passage of time, the festival became popular across the world and today it is celebrated globally with great zeal and excitement. Over the past decade, the advances in technology and the growing popularity of social networking sites has changed the way people, especially the youngsters form and maintain friendship. With most communications taking place in a virtual environment, instant communication generally defines the depth and level of friendship. In such a scenario, celebrating Friendship day takes on an even greater significance. It provides an excuse for online friends to meet in the real word and get familiar with the actual personalities of each other. Given the fact the providing false facts and developing a friendship based on unauthentic character and even physical traits is quite common in the virtual world, such an opportunity is generally welcome by one and all.